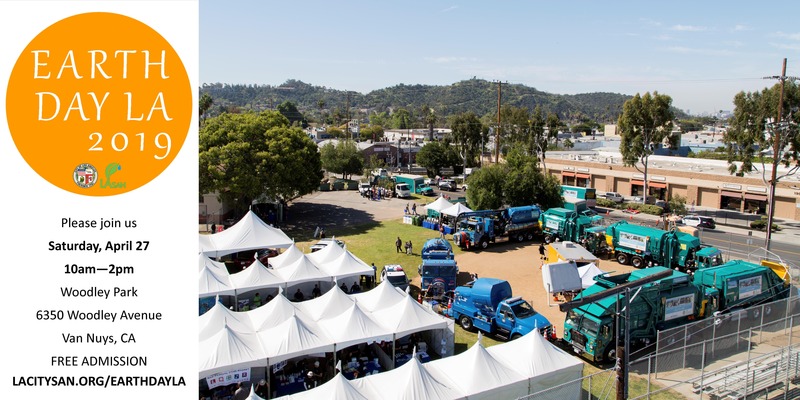 LA Sanitation & Environment will again bring our trucks for kids to explore, and we'll have over 50 educational (and fun!) exhibits for the whole family to learn about sustainability. In the spirit of environmental awareness, we hope that you will consider taking public transportation to the event. You can plan your arrival at www.metro.net. Food and beverage are free all day in our Food Tent, while supplies last. The Kids Zone has games, activities, and prizes for children as well as an Envirorazzi Photo Op! Welcome remarks begin at 11am on the stage, followed by the introduction of our #EarthDayLA201 Mistress of Ceremonies. Then we will announce the winners of the 2019 Art Contest. Performances will begin at noon by the following talented local entertainers, and we'll have a DJ with us throughout the day to keep things fun.